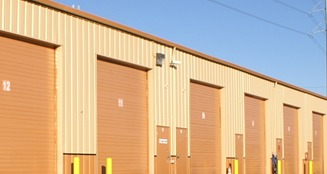 One major hurdle for many potential renters who are storing or working on vehicles is that most self-storage facilities and small warehouses prohibit vehicle repair within their units. But isn’t that a feature that most car lovers, detailers, and grease monkeys need? The Maxi-Space location on 74th Street is designed specifically for car buffs and automotive technicians of various sorts. This location boasts a nice, EPA-friendly wash rack with an oil-water separator. We also have several shop spaces between 1,000 – 2,000 square feet that are perfect for detailing, bodywork, and engine repair. Be sure to check out our 16’x45’ painting booth for the professional painting of cars, trucks, RVs, trailers, boats, and even tractors. Call now!